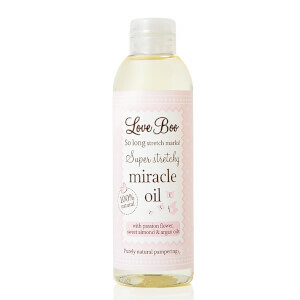 Combat loss of elasticity with the Love Boo Super Stretchy Miracle Oil; a natural formula that moisturises and nourishes the skin to reduce the appearance of scars, damaged skin and stretch marks. The Miracle Oil is the ultimate hero product. Enriched with Argan, Passion Flower and Mandarin Oil, the silky solution works to eliminate dry patches, whilst visibly repairing damaged skin cells and encouraging new cell growth. 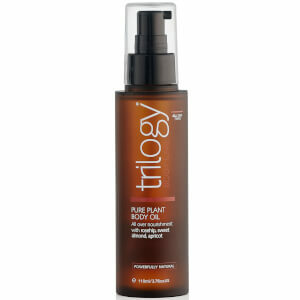 The luxurious oil restores suppleness and elasticity to leave skin smooth, even and hydrated. Pregnant women also swear by Love Boo Super Stretchy Miracle Oil to prevent morning sickness thanks to its lemon and ginger extracts. Simply dab some onto the wrists and inhale when sickness strikes. 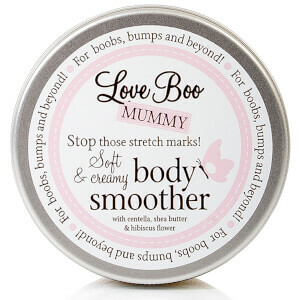 Receive a FREE Love Boo 250ml Mummy Body Wash when you buy two Love Boo products. Complimentary gift will be awarded at the basket. Offer valid for a limited time only, while stocks last. I really love this oil. Even use it during summer season.